It's 1865, and love is starting to blossom in the faraway mountains of Montana! This much-loved historical, inspirational Western romance series is about empowered women who turn around their hopeless circumstances, with strong faith, and discover authentic men and true love. Meet Rayne: she ain't getting any younger, and it's slim pickins for eligible men in her tiny Wisconsin town of Taylor Falls. Her sense of adventure and encouragement by family to go out west and seek love kicks in! She travels two weeks by train and three days by a bouncy horse stagecoach that leaves her bruised and battered so she can arrive in a newly developing town called Bozeman to marry the local veterinarian whom she has never met. What is it that Wyatt Earp's brother told Rayne that shakes her trust in her fiancé and their love before it even starts? Why didn't he tell her? Will she find it in her heart to get over the secret about him that she discovered? Will Mr. Joseph Hunter be all that he seems? 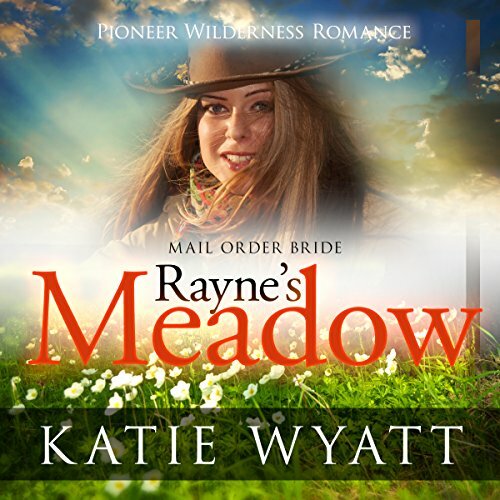 Can she find true love and happiness in these Montana Meadows? Mother nature can be cruel. Will they be able to survive what is coming their way? Hang out with the folks at Bozeman, including tall, lanky sad-eyed veterinarian Joseph Hunter, handsome public protector from bank robbers and outlaws Mister Marshall Morgan Earp and, of course, blonde-haired, blue-eyed Rayne Stevens. While this book is part of a romance series, it can be heard as a standalone book. once again Madeline Star did an excellent job of narrating this book. Really it's like being right there observing everything that she reads! Rayne sure was an outspoken person but never to be mean or vindictive. She spoke truth and expected others to be truthful with her, especially her new husband the Vet and doctor. Why wouldn't he tell her why he didn't practice medicine on humans anymore? What caused him to stop? Do you want to know the answers to these questions and many more that will come up in the story? Believe me the best way is to get the book or the audio book and read it for yourself. I highly recommend this book, it's a great story!